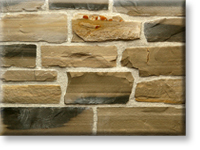 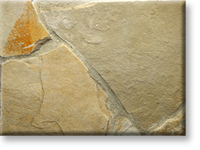 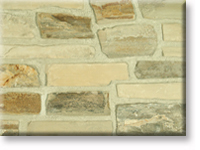 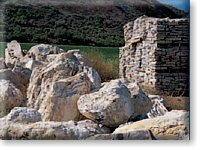 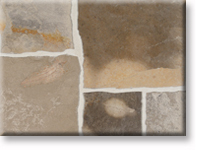 Description The Lompoc Tumbled Ledge cream natural stone thin veneer is a snapped cut stone in the standard oatmeal color with most of the gray sorted out, then tumbled to soften the edges. 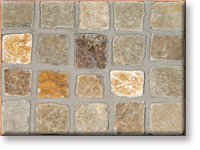 It comes in various heights ranging from 2" to 4" and lengths ranging from 4"-16"+ forming a horizontal random lineal pattern. 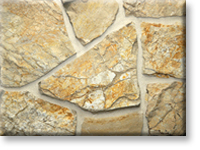 This material is also available in corner pieces.